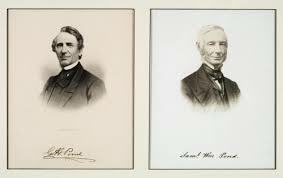 These men, Samuel and Gideon, seem to have captured Your heart in this. They were not out to just meet the Dakota; they meant to live their lifetime with them! Will You bless this commitment to the Dakota peoples and their spoken language? Furthermore, they rightly represent you as the living “Word” of God. How fitting that they were content to learn the words of the Dakota, and write them down. This was not enough, they wanted these words to flow the way they were thought and spoken, and so undertook to worship You by understanding Dakota grammar! Will You bless them, and their generations who want all Minnesotan languages to be cherished and recorded? May we as a State know you better by knowing the language of our fellow man!